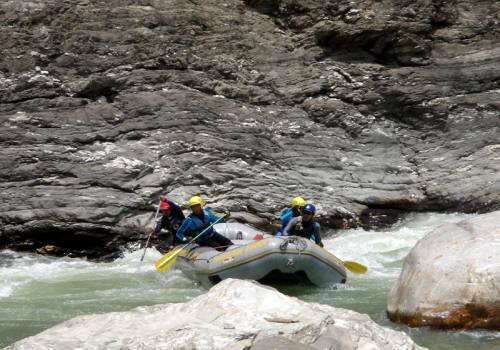 Our Arun River Rafting packages takes you through the stunning Arun Valley, with its bright green valley and Himalayan backdrop. 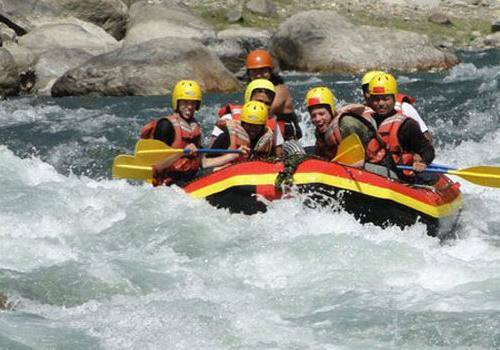 Arun River Rafting takes place on the most powerful and appreciated rivers present in Nepal. Arun River cuts from side to side and the base of the Himalaya surrounded by bottomless and overpowering gorges, prosperous valleys and excellent riverside beaches. 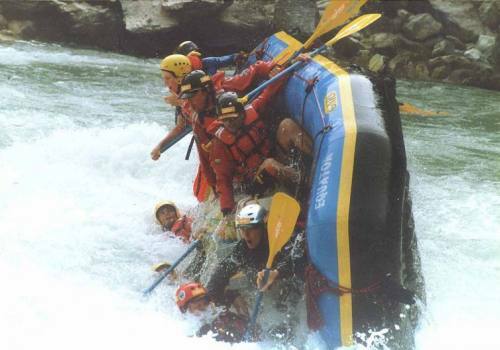 Our itinerary for the Arun River Rafting takes 8 days but it can be arranged according to the convenience of explorers (i.e. you) and their interests. Some take extra time and complete the journey in 9 days, while others do it in 7. 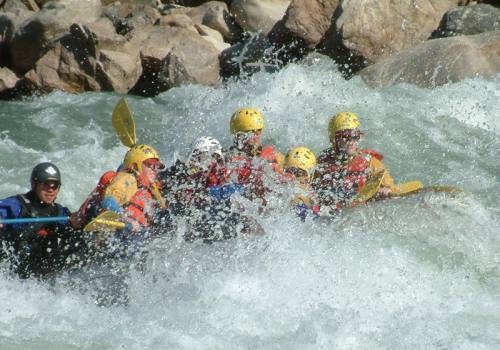 The river rapids can be more challenging and technically complex than other rivers of Nepal, making the trip a bit more exciting. The river grade is ranked as IV. 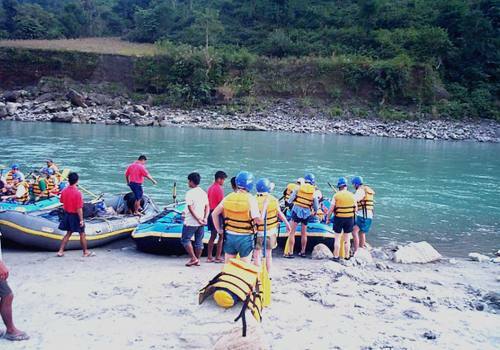 The starting point of Arun River Rafting is Tumlingtar and its ending point is Chatara. An outward travel time is 3-5 hours where as its return travel time is 6 hours. This package is relatively short and is most refreshing. You will forget about all your worries you might have for a few days while you are on the river. This package can be completed during all months of the year. Day 02Drive from Kathmandu to HilleToday, we drive about 12 hours from Kathmandu to Hille. It doesn't feel so long because we are distracted by the beautiful surroundings. On the way to Hille, we have lunch. Overnight stay at a guesthouse. Day 03Drive from Hille to Tumlingtar, Trek to Kartike Ghat From Hille, we drive about 4 hours to Tumlingtar. We trek from Kartike Ghat, having lunch along the way. Overnight in tented camp. Day 04Raft to TumlingtarAfter breakfast, we begin our rafting journey, full of excitement. We float down the clear water passing lush forests. We have lunch before continuing further down the trail. Day 05All Day RaftingWe wake up with the sun and have a delicious breakfast. After that, we hop on our rafts and start the day. We have an extra relaxing itinerary today with lots of time to snap photographs. 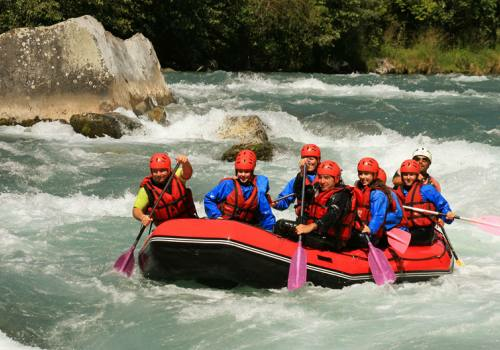 Keep practicing your new-found rafting skills. Overnight stay in tented camp. Day 06All Day RaftingAfter breakfast, we begin today's journey. It is a slightly more challenging day with many solid rapids. The rapid come one after another, making for a thrilling day. Overnight camp nearby Bhite rapid. Day 07Raft to Chatara, Drive back to KathmanduToday is more relaxed than yesterday, but still exciting. Arun River now meets the Sun Koshi, which later forms into the Saptakoshi - a major river system of Eastern Nepal. After floating for about an hour, we reach Bara Chetra, a famous Hindu site dedicated to Lord Vishnu. We raft another half an hour to Chatara and then drive back to Kathmandu. Farewell dinner in the evening and overnight in hotel.